Are you wondering what to do with those zucchini’s that grow to mammoth proportions? I don’t know how it is we don’t see them – especially when checking daily…but eventually they pop out of nowhere. You can only make so much zucchini bread. Now that I’ve gone grain free, I’m happy to make zucchini bread for my husband and guests but still that doesn’t use up very much. Zucchini Hole in the Middle’s are a new clean and delicious breakfast rendition of an old favorite that works well with those huge zucchini’s. Hole in the Middle’s were a frequent breakfast at our families table while growing up. Made with a slice of bread with a hole torn out of the middle, butter and eggs, it’s a quick and delicious go to. The bread would get toasted in a skillet, flipped and crack an egg right into the hole in the middle. The bread was toasty, crispy and salty with a slightly runny egg oozing from the center. This remake of an old favorite uses those mammoth zucchini’s that sit lurking under those large squash leaves. I have made it 2 ways. One way by keeping on top of the stove to cook completely on both sides, which takes a little longer for the center to cook up. I like the method posted below in the print section which cooks stovetop and finishes up under the broiler. It saves on time and it’s easier to manage the doneness (if thats a word) of the egg. Either way is good. But the “breading” brings some awesome flavor to this new breakfast favorite. You can get nutritional yeast at your natural grocer. Yes, it’s an important part. I buy mine in the herbs and spices bulk department of a local natural foods store. So for once you might be excited to find a huge zucchini lurking beneath wide squash leaves so you can make this. Before I leave you though, I have to share a pic of these little cuties. I’m warming up to doing a nana camp with my grands. 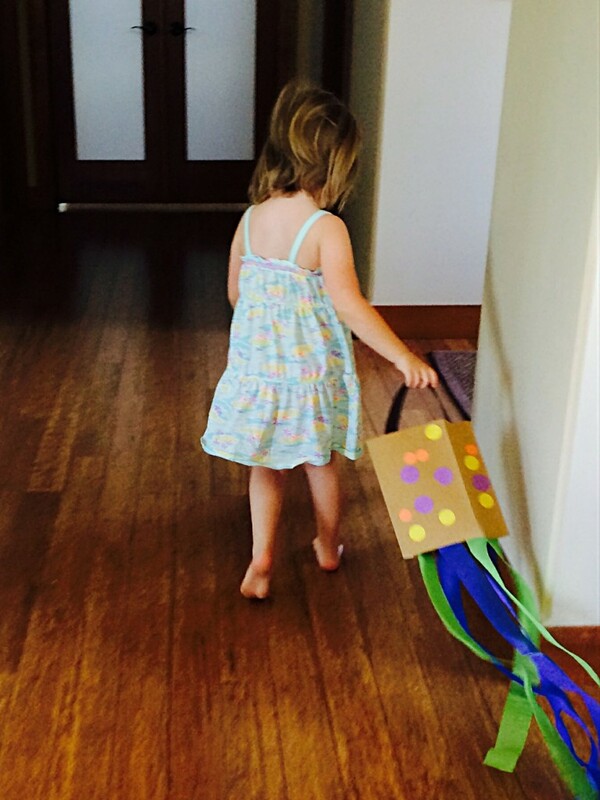 So we had our first, experimental, nana camp with a focus on art just the other day. My hope is to do a cooking camp day and a wood shop day (hello papa camp). Eventually make it for a longer duration as they get older. (Maybe-just maybe, I won’t be SO exhausted b/c they’d be older?) 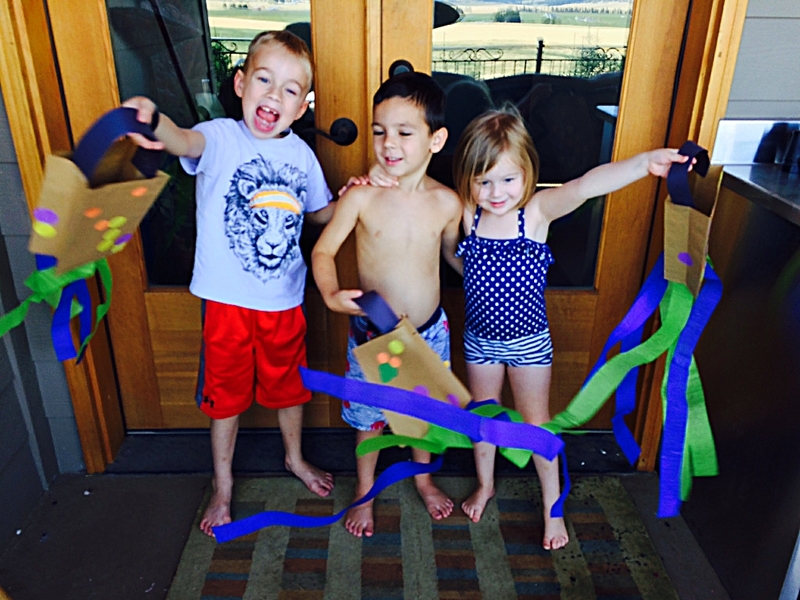 This particular camp day they made wind socks, watercolor paintings, and decorated picture frames. In between projects we ate lunch and did water play outside. So fun! Love these little people in my life. They are so, so, fun and such a blessing! Wishing you all treasured memories with your loved ones too! 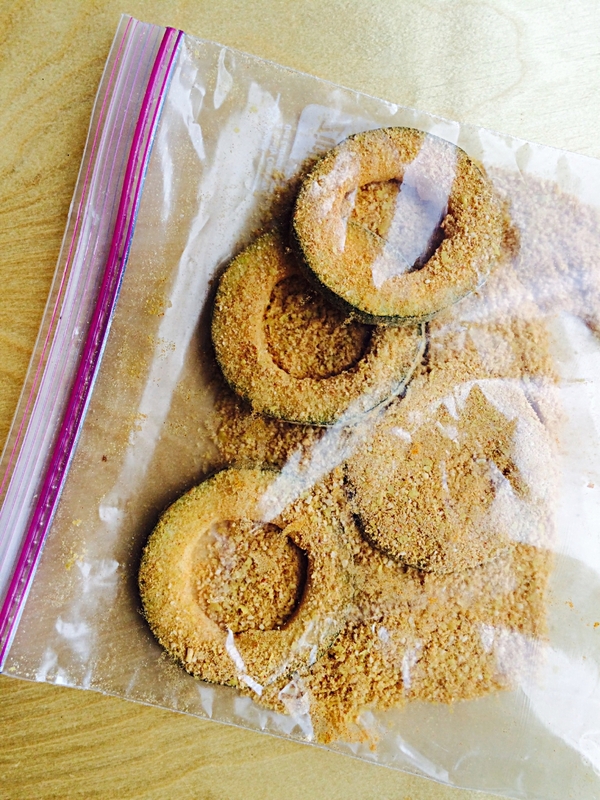 Combine almond meal, nutritional yeast, paprika, garlic powder and sea salt in a gallon size zip loc bag. 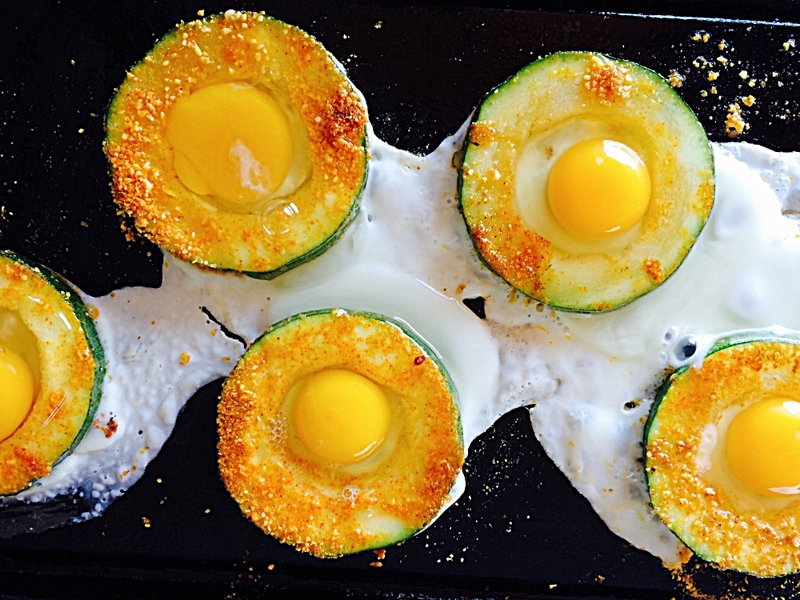 This recipe will make up to 10 zucchini hole in the middle’s. I make up a batch of the “breading”and keep it in the fridge. I make 4 at a time. Preheat your broiler to high and place rack in top notch. Preheat a Lodge cast iron skillet on medium heat on the stove. 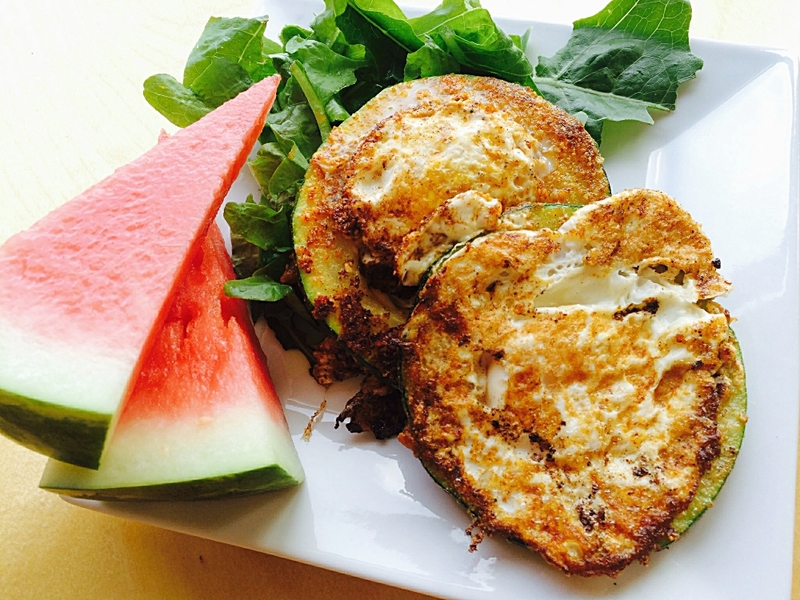 Dip zucchini rounds into melted coconut oil and put in almond meal mixture right away. 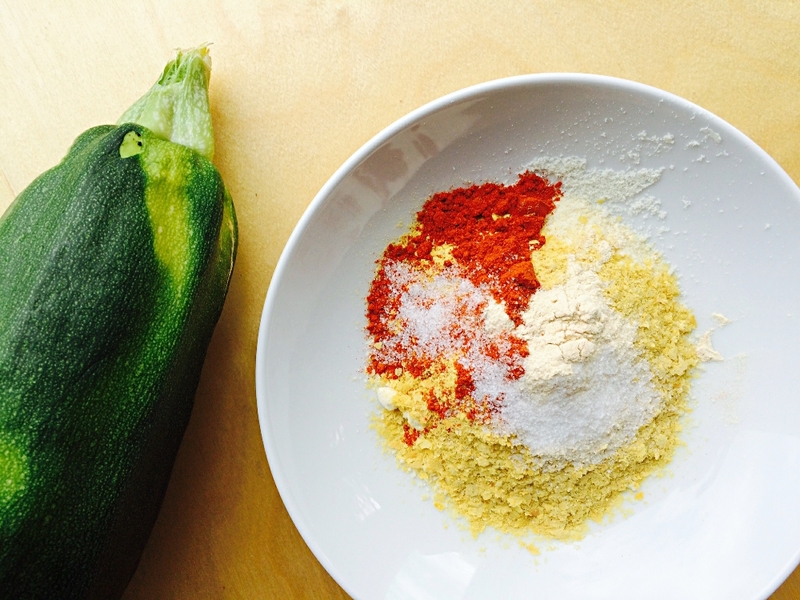 Proceed with all zucchini rounds (4 at a time) and shake to coat the rounds with almond meal mixture. 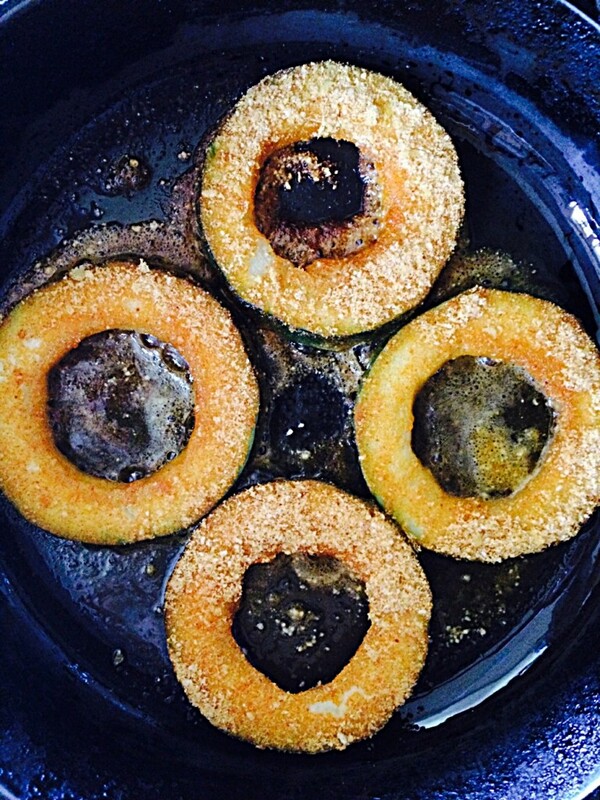 Add olive oil to heated cast iron skillet, when oil is heated, place 4 zucchini rounds in pan. Cook on a medium heat for 5 minutes then flip. Crack one egg into each round. Turn down heat to medium low and cook 5 minutes. Salt and pepper tops of eggs. 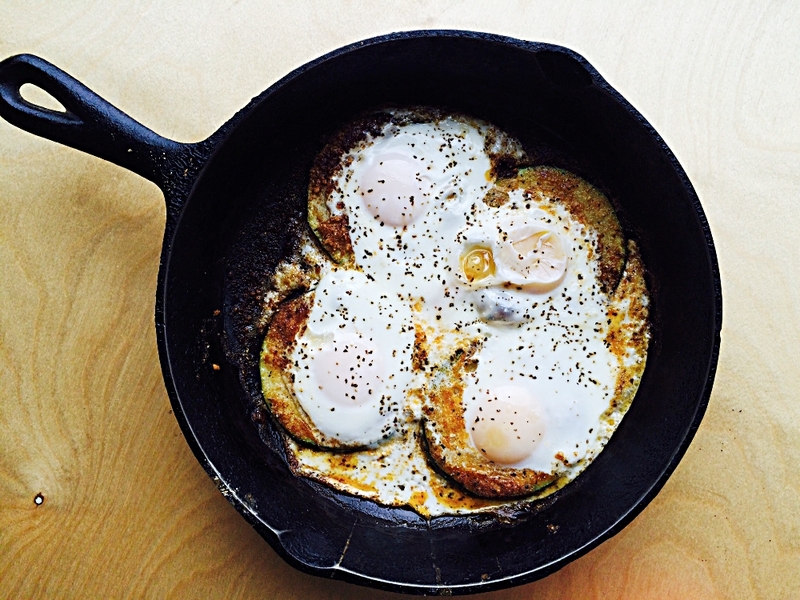 Place skillet under broiler for 2 minutes, or until the eggs are done to your liking. 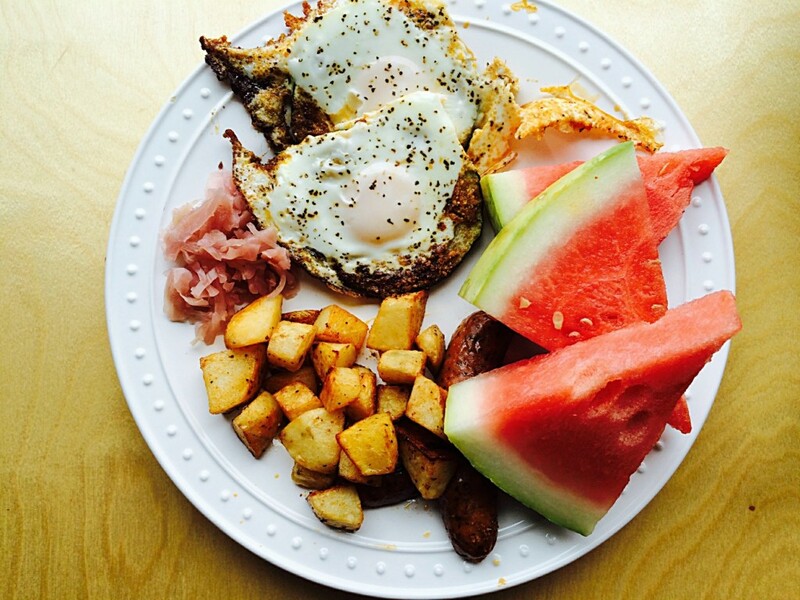 Serve with your choice of breakfast meat, and /or breakfast potatoes and fruit. What a great idea!! My kids too, loved the “eggs in a basket” growing up. I like the idea of omitting the bread and using zucchini instead. Thanks Amy for another wonderful, healthy idea!! You’re welcome Sheila! I hope you love it like we do. Miss Amy did you get my comment?